Every time I up and go trying to give a little bit of summery about the book that I read, I get side tracked and forget the most important part. What I actually thought of the book. So before I start getting side tracked again let me just say, I really liked it. I love reading paranormal YA and Wander Dust was an wonderful read with the right amount of para stuffed with some gorgeous science elements. Now a little bit about the characters, I LOVED the name Seraphina so much that I decided to name my gold fish baby Seraphina. And it response to the name too! It's really very cute. I was talking about my goldfish, if anyone's wondering. Sera was well put together character, acting like the sixteen year old that she is. Trying to get her father's attention by doing the most rebellious things she can come up with. The relationship between the father and her was next to non-existence which lead me to question, if that was her real father. Who knows maybe there is a bigger mystery in there!! Bishop, I swooned every time I tried picturing him talking in his British accent. le sigh. Bishop's interference in Sera's life at first was questionable. I was confused if this boy was good or evil or in between. His mysterious nature puts an edge at first which he manages to maintain further by talking about his past with Sera. However he proves he is a friend to her, eventually. In other words, he is the perfect romantic boyfriend a sixteen year old girl can only hope for. I would have to say, Bishop is an intriguing character about whom I happen to have basket full of questions. 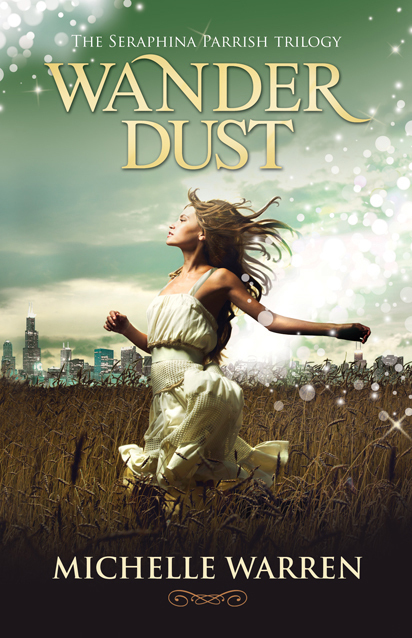 Wander Dust is the first in The Seraphina Parrish Trilogy. If you are looking for something unique to read, I would definitely recommend you to check this book out. 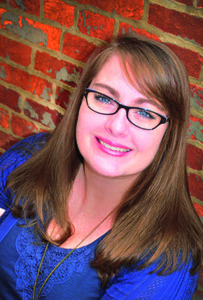 Michelle Warren is the author of Wander Dust, the first book in The Seraphina Parrish Trilogy. She didn't travel the road to writer immediately. First, she spent over a decade as professional illustrator and designer. Her artistic creativity combined with her love of science fiction, paranormal, and fantasy led her to write her first YA novel. Michelle loves reading and traveling to places that inspire her to create. She resides in Maryland, in a historic Baltimore row-home, with her wonderful husband. I like that name too, but Bishop? What kind of name is that for a swoon worthy male lead? The cover is beautiful. I will check this out. Off to hurriedly read Hounded. His full name is Maxwell Bishop, everyone calls him Bishop lol. This does sound like a marvelous YA read and the author did great with names. I love when the name Bishop is used in a book---it harkens back to times of men and gentlemen. Really, is there anything more gorgeous than that cover? I love it. And since we have the same taste in guys, now I'm really looking forward to meeting Bishop! Accents always get me. This is the next book I'll read. I simply can't wait :D It sounds so amazing and I'm in love with that cover!